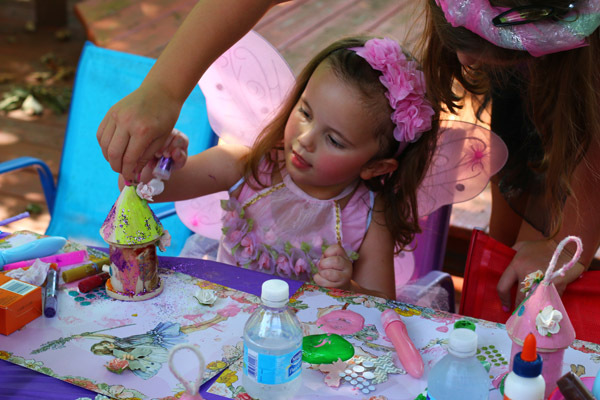 Making fairy houses was the perfect fairy party craft for Adeline’s 4th birthday party, especially because she loves art so much. 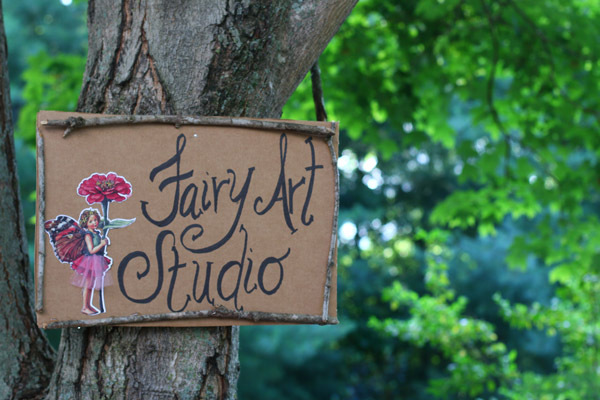 If you look on Pinterest, you will find a wide-range of fairy houses. Some are very detailed and have a lot of extras. Don’t let that overwhelm you. 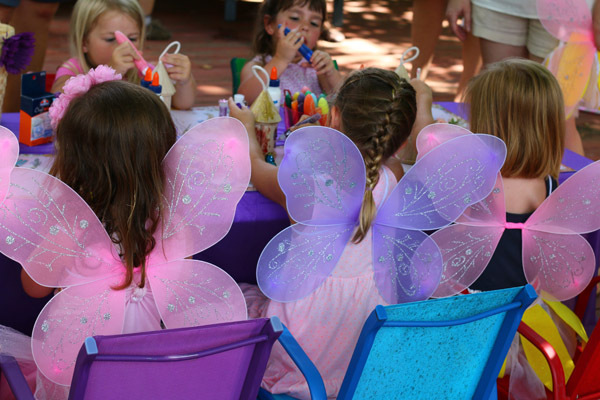 This fairy party craft is about letting the kids get creative and make something special to take home. 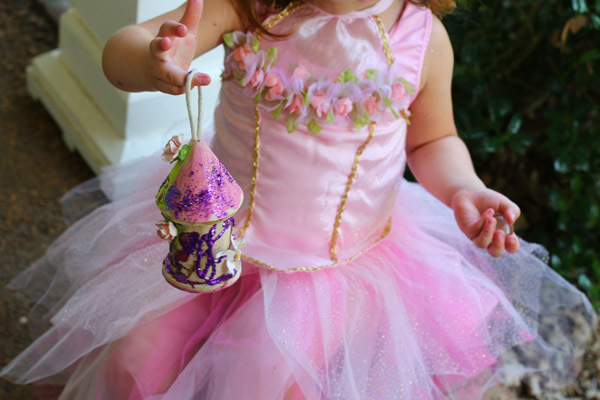 Of course, you wouldn’t need to have a fairy party to make a pixie dust fairy house. 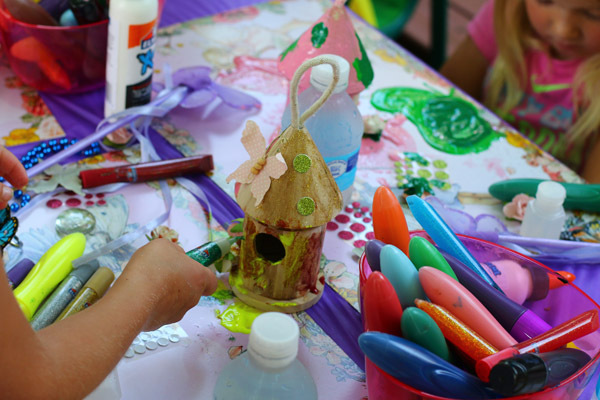 It is a perfect craft for kids of any age. I also had bowls of Elmer’s Squeeze ‘n Brush painters. I was glad to find these because they eliminated the need for water and paint brushes. The paint literally comes out as you paint. They are so cool! That said, I would recommend showing the little girls how to use them. I did a too quick demonstration, which meant some girls squeezed paint onto their placemats, then dipped the brushes in. Whoops! 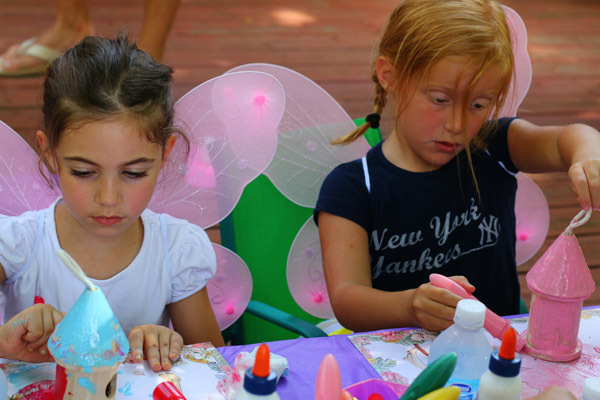 Once the girls finished painting, they attached the butterflies and flowers with Elmer’s glue dots. 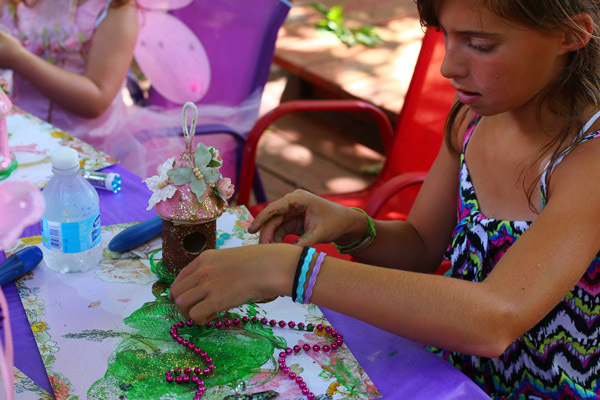 The glitter really made the houses special – and look a lot less messy than they did. Glitter makes everything better, doesn’t it? 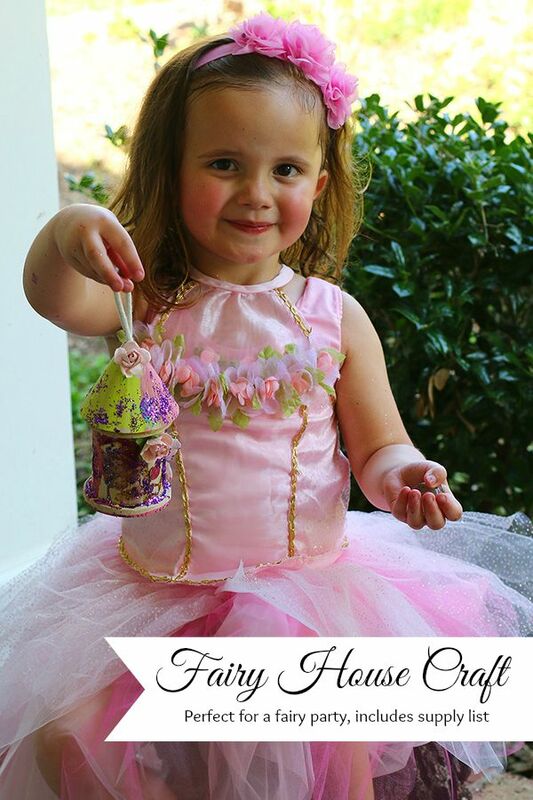 The girls loved this fairy party craft project. 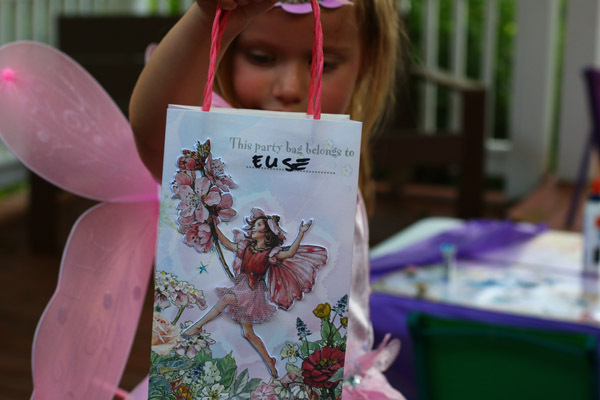 We let the houses dry for a bit, and then put them in fairy bags with the girls’ names on them. This helped make sure no one misplaced a house and prevented paint from getting on anything – or anyone – if there were any wet spots. The tablecloth and placemats made the clean-up a breeze. 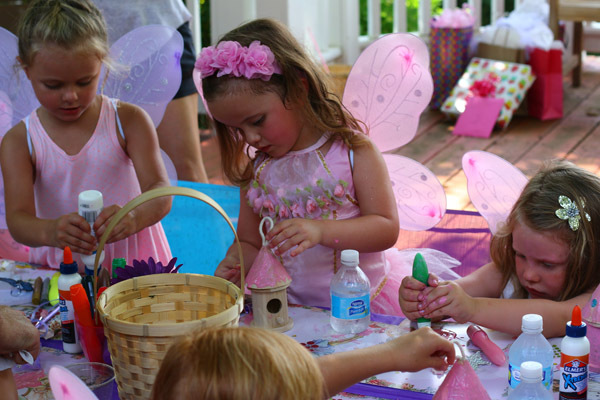 For more fairy party inspiration, check out the party post recap and the fairy treasure hunt. 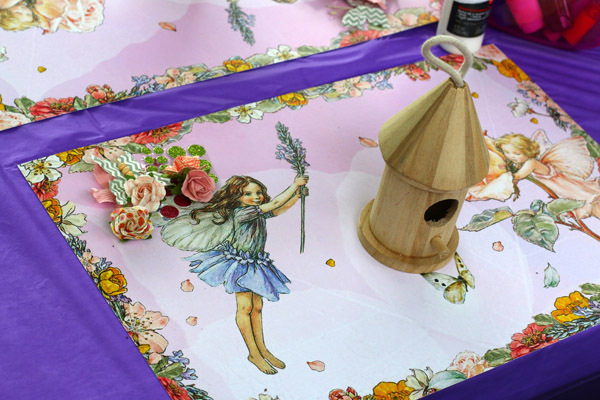 Also, follow my fairy party board on Pinterest. 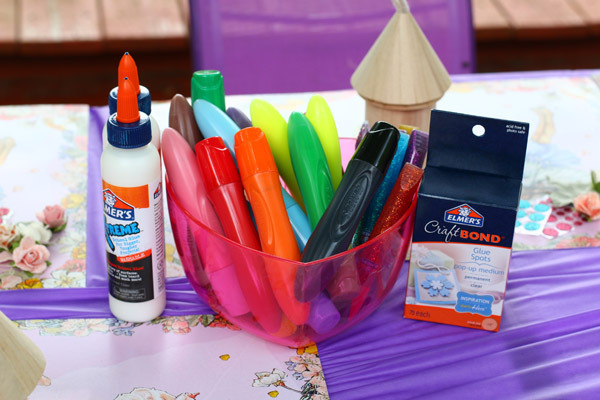 Thank you to Elmers for providing the noted art supplies and Chasing Fireflies for the placemats and bags. Some links are affiliate links. This party is beautiful. 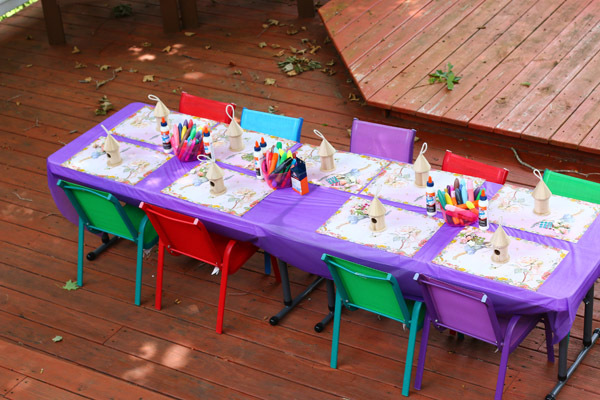 I love the craft idea. I never know what type of activity to have for the children. 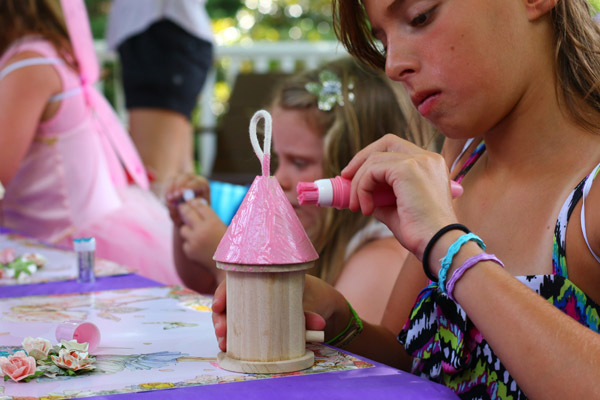 This craft looks like so much fun. 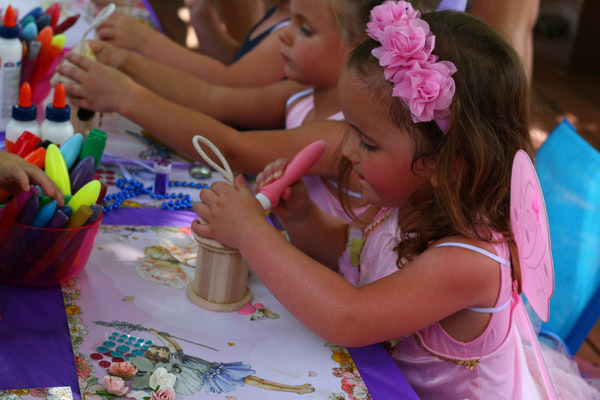 Great ideas for our next birthday party! This party is truly a dream come true! I love all your attention to detail and I am sure your daughter had the most magical birthday of her young and precious life!! Great job mama!